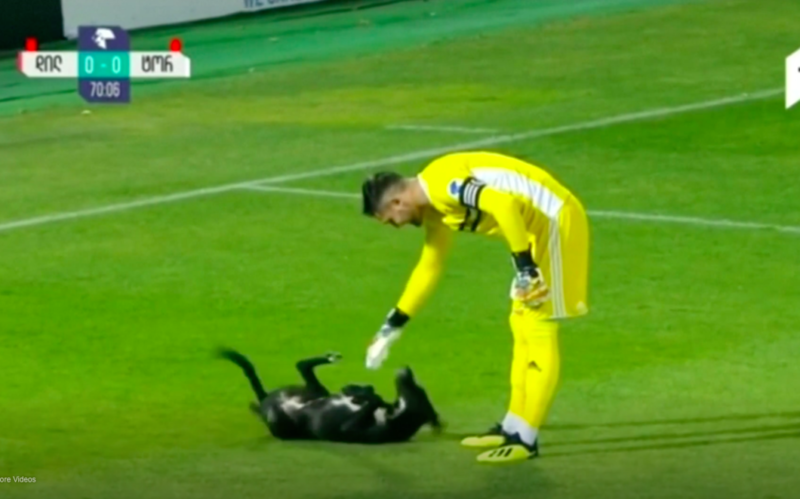 Soccer players in Georgia were playing a match when all the sudden they got a surprise visit from a friendly dog. The appearance was not expected so the players stopped the game to dedicate all their attention to the new companion. 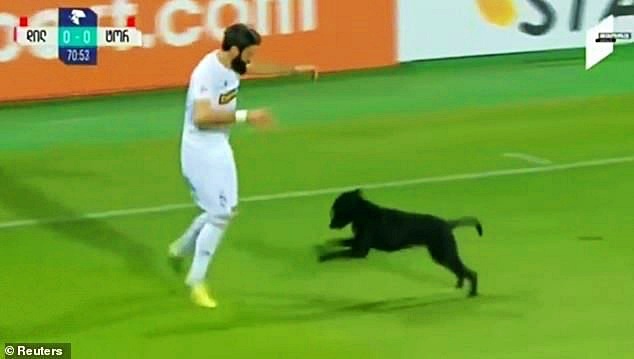 The energetic back Labrador Retriever ran in the field to request some attention from the players. He started to run all over the field and was having the best of his time. 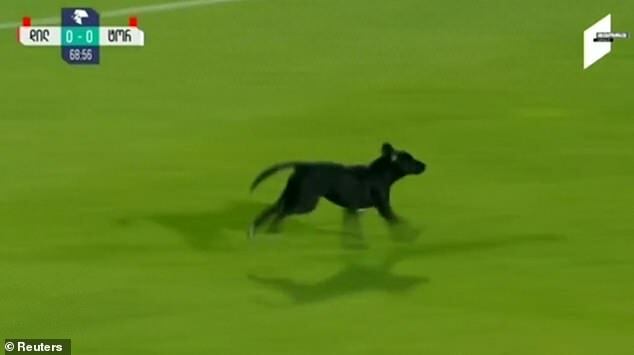 One soccer player approached the beautiful dog and started to rub his belly, the other tied to run alongside him to make him leave the field. Finally, the dog was caught by two medics came onto the field and removed the very energetic dog but he still ran away. The task of taking the dog away was not easy but it was finally done. At the end the players and the audience got a good laugh out of the situation and the game continued on.